We are a children’s non-profit organization located in the south suburbs of Chicago. Our Mission Statement: There is a world of children that need toys. With your help we can change that. 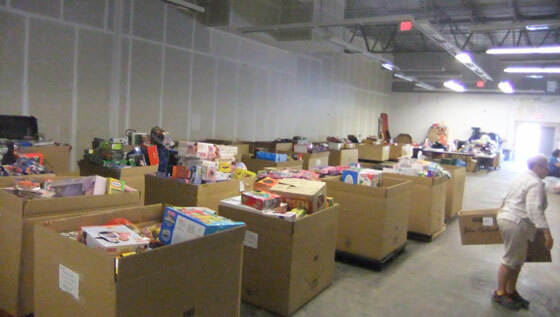 Toy Box Connection (TBC) will be the connection between families and businesses who have new or used toys to donate then we will directly connect those toys to the children that need them. Our organization is the missing link in communities. We hope TBC will become the vessel that creates unity within our community. Our primary goal is to touch the life of a child through the gift of a toy. 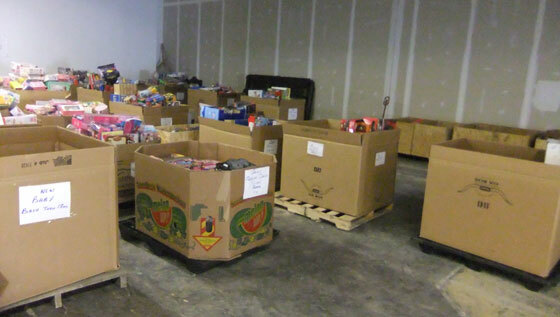 TBC accomplishes this by accepting new and gently used donated toys and books which we sort locally at our warehouse. We then redistribute the toys to other non-profits who place those toys directly into the hands of the children who need them including homeless shelters, orphanages, foster homes, hospitals, battered womens shelters and many more. TBC has initiated community participation at many levels. Our efforts have afforded community service to schools, Boy Scouts, Girls Scouts, Lions Club and other organizations that need to obtain service hours. We now have disabled students from Park Lawn and Elim participating on a regular basis sorting toys. The blind will be offered quality control work as well. We have a list of volunteers that include retired men and women in the community already a part of all that we do. In order to operate we need continual funding, thus, we continue to seek financial contributions through donations, grants and fundraising events. These events have included many family orientated activities for more community participation. Our website offers sponsors an opportunity for exposure as we thank them on the front page of the website. 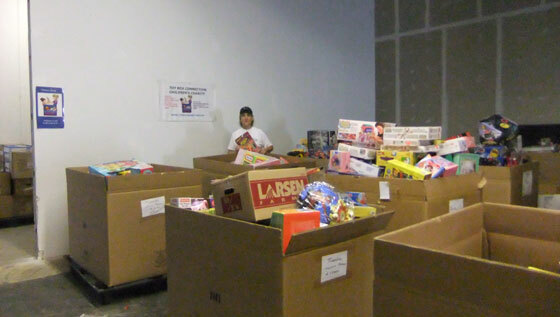 Anyone wishing to donate toys will be directed to the website, www.toyboxconnection.com, for scheduling and contact information. Our organization has already accomplished many other projects for children including a “Children of Soldiers Project”. We have placed toys in the hands of hundreds of soldiers’ children while they are serving us overseas as well as our returning wounded without jobs. What better way to bring joy to our soldiers than to bring happiness to their children? Additionally TCB has engaged in the Children’s Literacy Project to help improve the low literacy scores in our schools. We have assisted a few schools with family reading nights. We have given students books to read and an incentive toy for doing so. We have also created some amazing events for children. We have taken the entire Mooseheart Orphanage elementary children (220) out for a day of fun. We took them to an indoor sports arena where they played dodgeball, basketball and soccer. We provided treats and pizza and best of all had books, toys and backpacks awaiting them at the end of the night. What a surprise! The roar of their joy was deafening. We gave them a day they will never forget. We will continue to seek out events that bring joy to children. We are a moving force of goodness in our community and now accross the United States. The sky is the limit and you are now welcome to join us in our journey bringing smiles to children.